Russia and Great Britain don’t establish visa-free regime yet so citizens of both countries should get proper permission to cross other state’s borders.Russian visa for British is issued by consular authorities of the Russian Federation. It allows implementing almost any travel goals. With the help of the article below, you will know how to obtain Russian visa for British nationals and how much does it cost. The visa regime assumes that you have the obligation to comply with the requirements of the migration legislation of the Russian Federation for foreigners. That means that a citizen of Great Britain should apply to one of the consular representations of the Russian Federation in the territory of his own country. While filling in the profile pay special attention to the date of alleged visit, period of stay and purposes of your visit. The purpose indicated in your applying form should coincide with information in the invitation issued by the receiving party. During verification of your profile and package of other documents, the employees of a consulate will check absence of bans to enter (for some categories of foreigners). If the test is passed successfully, the applicant will obtain a visa within the time limits defined by the size of consular fees and other circumstances. The cost of a visa to Russia for British nationals is determined by the size of consular fees and the rate of services fees. You will have to pay services fees in case if you apply for a permission by the system of Visa Centers. In order to know how much will your visa cost for you exactly you can look for information on webs of consulates or on our website. Pay attention! In case of refuse you will have to pay consular fees again (it’s not a subject to return). In order to complete visa registration citizen of Great Britain have to confirm trip purposes in an invitation from Russian party. 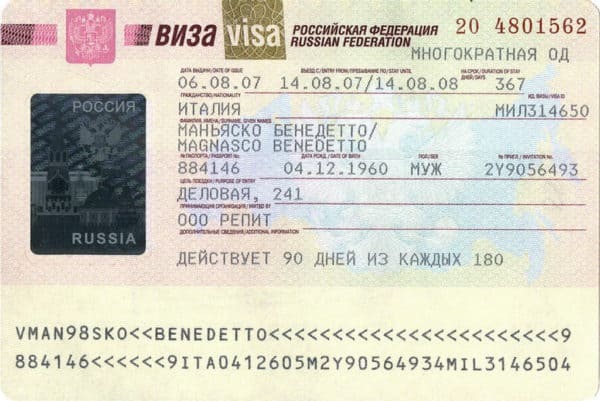 Types of different invitations correspond to same types of visa; the issuance is carried out by Russian citizens or organizations. Possible purposes that you can indicate in your profile – tourist group trip, medical/business tourism, tourist hunting, traveling by personal car, etc. 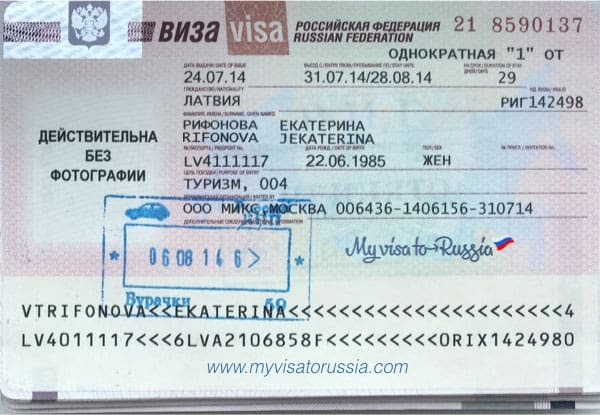 In order to apply for a visa you need tourist invitation issued by the receiving party, which means that it is a tourist operator that is included into the roster of Russian tourist companies. Every type of visa requires particular type of invitation. 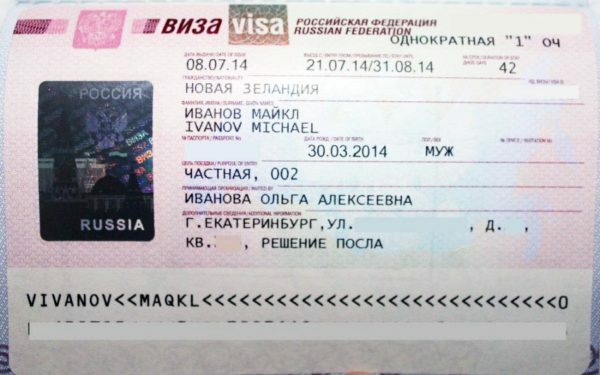 Issuance of a tourist Russian visa for British nationals bases on this invitation. 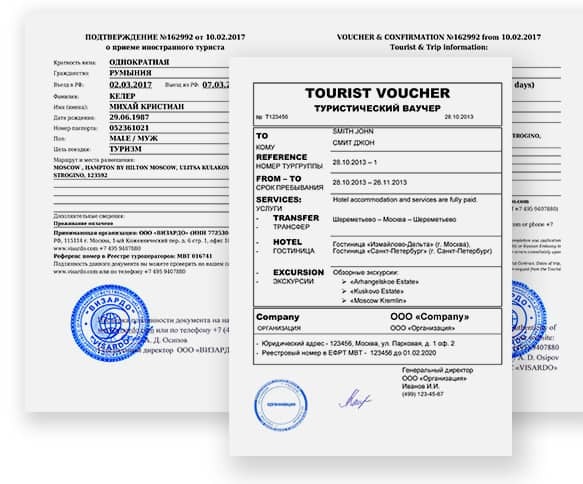 As a rule, such type of invitation is issued at the same time as you buy tourist voucher and consists of a receipt and a confirmation. Receipt proves that you receive tourist services and the confirmation in required in order to show that you have a place to live for the whole period of your trip. Invitation necessarily includes personal data of a foreigner as well as timing and the date of his visit. If you need to issue a tourist invitation as soon as possible, so you can apply for a visa, you can ask our experts for help. We will send you a copy of an invitation within hours. Moreover, the original copy can be sent by post-express if required. This paper should be provided to a consular authority in the usual package of visa documents. Sometimes you need Russian visa to visit your relatives. In order to get it you have to confirm that you really related with Russian citizens while applying for an invitation. Private visa is issued for up to 90 days as a one-time document or a multiple-entry visa. After entering the territory of the Russian Federation, the foreigner must follow the orders of the visa regime such as registration in living residence or in local authorities of the MIA as well as in every point of location where he stays long enough. In addition, you should attach the detailed description of your route and indicate timeframe of your trip. In order to make a trip to your business partners or constantly manage business in the territory of the Russian Federation you need to have Russian business visa for citizens of Great Britain. This permission has a universal character which means that you can apply for a one-time visa as well as for a multiple one. The validity of the permission can be up to one year; however, you can’t stay for more than 90 days during half a year. Also you have to register in the local MIA authorities every time you come to Russia. The violation may lead to an administrative deportation and following refuse if you try to apply for a visa again. 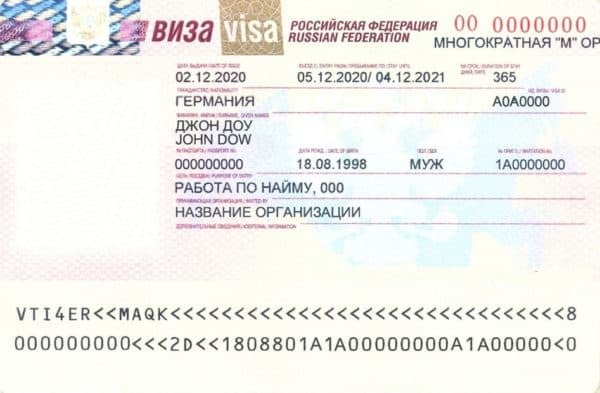 You can obtain a business visa to Russia only if you have a legal invitation from the Russian party. It can be issued if different forms, for example, in the form of a letter from Russian organization. In order to gain opportunity to issue business invitations independently, the receiving party has to go through procedure of accreditation in the MFA of Russia. This system acts well enough in cases of multiple regular contacts with foreign partners. In standard situations business invitation can be issued in the form of the AFMS. To achieve it the Russian company should apply to local migration body of the MIA and provide the ordinary package of documents. Business invitation will be issued in the official form of the AFMS and sent to a foreign partner in the form of a copy or in the original copy. For doing this again or for prolongation of existing visa you have to get a business invitation once more. Another way of getting a business invitation is to use special diplomatic channel – Telex. In this case, the request to issue an invitation will be addressed to proper services of the MFA of the Russian Federation. When using Telex the receiving party doesn’t have to send a paper to a foreigner because it will go directly to consular authorities. The foreign national just has to provide the rest of visa documents. If you need to obtain business invitation by any of the ways described above, apply for help to our specialists. We guarantee the issuance of this document right in the day of your request – all you have to do is to provide us with the copy of foreigner’s passport. What type of visa do you need if you plan on working in the territory of Russia? To do it lawfully you should formalize the employment relationship with a Russian company and get a work visa to Russia for British. In such case, almost all the paperwork lays on your Russian employer who plans to hire an external specialist. The ground for appliance to consular authority is an employment permission and an invitation to work. The work visa is issued for a period up to one year and can be prolonged by the standard rules. When re-applying to a consulate you have to provide new invitation since the older one will no longer be valid. Only if you follow all the stages above it can guarantee you an opportunity to obtain a Russian work visa. After hiring a foreigner and signing employment contract with him/her, the company send the information about recruitment to the AFMS authorities where this company has been registered. If you need any kind of help or assistance while getting a visa for an external employee, apply to our consultants. We will decide any problem with getting the proper documents, work permission and others. To get full information fill in the feedback form on our web or call our specialists using the hot line phones. Address: 6/7 Kensington Palace Gardens, London, W8 4QP. Phone number: (8-10-44) 2072-29-64-12, 2072-29-72-81. Address: 5 Kensington Palace Gardens, London, W8 4QS. Issuance of prepared passports 8:45 a.m. – 11:00 a.m. Issuance of prepared passports (Wednesday, Thursday) 2:00 p.m. – 5:00 p.m.
Consular registration issues 8:45 a.m. – 1:00 p.m.
Issues of confirming presence/absence of Russian citizenship 8:45 a.m. – 1:00 p.m. Certificates of criminal record 8:45 a.m. – 1:00 p.m. Evidence paper of being alive 8:45 a.m. – 1:00 p.m. Certificates for re-counting communal services 8:45 a.m. – 1:00 p.m.
Retirement issues 8:45 a.m. – 1:00 p.m. 2.00 p.m. – 5.00 p.m. 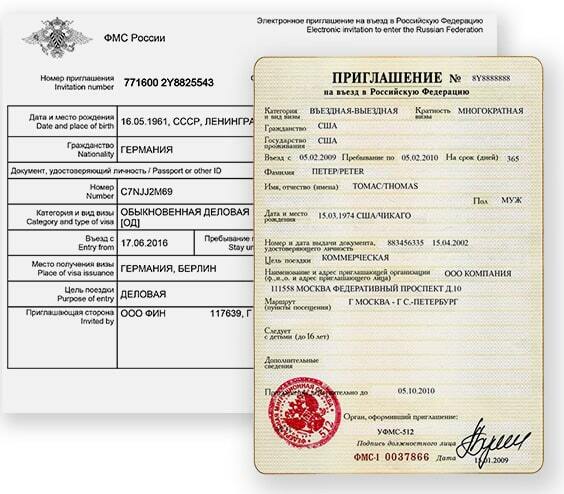 Issuance of an evidence paper about returning to Russia 2:00 p.m. – 5:00 p.m.